What's Included: -P27 Carbon Composite 27” Front Wing and 14” Back Wing -68cm Reinforced Surf Strong Aluminum Mast -Pedestal Aluminum Base Plate -Full Carbon Fuselage w/ Adjustable Rear Wing Placement -Padded Foil Bag Included -Foil Hardware and Tool Included -Board Mounting Track Hardware Included Weight: 8.5Lbs Cloud 9 has created some of the finest looking surf wings on the market. 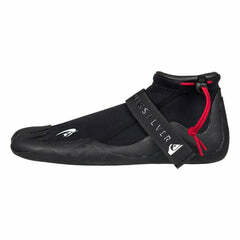 Through the water, they are silky smooth and instill confidence while you are on foil. They make a medium wing with the Saber S24 and a large wing with the Ghost Rider P27. These high quality full carbon surf wings are packaged with a light weight adjustable carbon fuselage and surf tough aluminum mast to make a premium product. This package also comes complete with a padded bag for storing and transporting your foil. 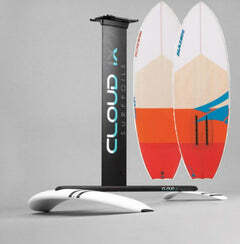 The Cloud 9 P27 Ghost Rider Surf Foil is the larger of the two surf foils by Cloud 9. 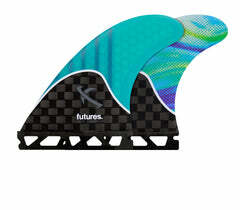 This is best suited for dedicated surf foilers. 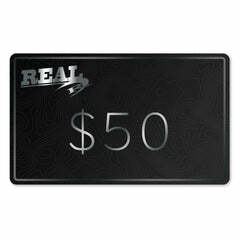 This foil will give you the lowest speed lift possible and is ideal for surf foiling. 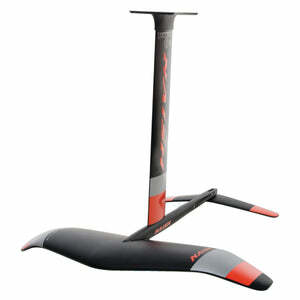 The adjustable fuselage allows you to adjust the placement of the back wing for different riding style. With the extended length you get more stability while on foil. When you move the back wing in, you get a faster turning foil that feels more surfy. 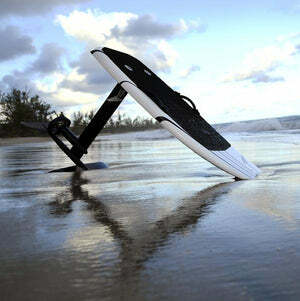 The P27 Ghost Rider is one of the finest surf foils on the market. The high quality super light full carbon wings and full carbon fuselage make for a light bottom half of the foil so you are not swinging a lot of weight around when you are going rail to rail surfing. Cloud 9 went with a reinforced aluminum mast to add the strength where you needed it most. The P27 wings are big and give you a lot of low speed lift. If you are new to surf foiling you will appreciate how easy it is to get on foil with these monster front wings. 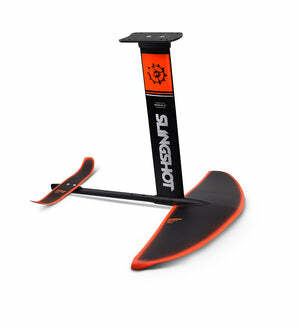 The more experienced foilers love the smooth ride and extra glide. You can tell these wings are superior to others on the market just by looking at them. This foil is light weight and you can appreciate that when you are paddling back out. If you are a dedicated surf foiler, you should buy this foil. The P27 has a ton of lift so the power and higher speeds behind the kite can be a bit much. The key is to mount the foil as far back in toward the tail so you have most of your weight over the front wing. If you have kite foiled before then you will love how slow you can go and stay on foil. The P27 makes learning to tack and jibe really easy behind under the kite. 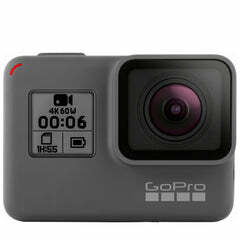 Despite having big wings, this is really smooth in the water and still can go pretty fast once you get the hang of it. A lot of riders that will kite and surf their foil are getting the Cloud 9 S24 Saber wings for kiting as they are smaller with less lift. You can almost foil the P27 with out a boat. You just need a little pull to get up on foil and then you are cruising. This foil has a crazy amount of lift behind the boat so you need to have a drive that will go easy on the throttle. If you do have a good driver, you will foil for miles with the P27. For true wake surf style of riding the foil, the P27 is excellent. The 27” front wing really keeps you out of the water. It is easy to hop this foil back on to plane if you slow down too. 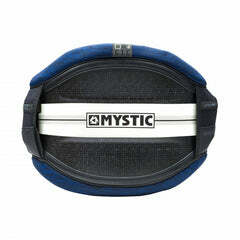 This is the top rated dedicated surf foil on the market. 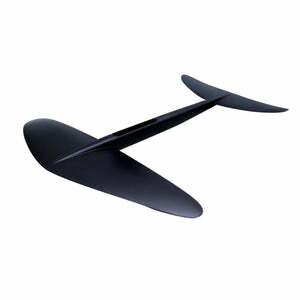 If you are focused on surf foiling and want the extra lift of the large wings, then the P27 Ghost rider is the call. The quality of product and silky smooth ride is second to none.